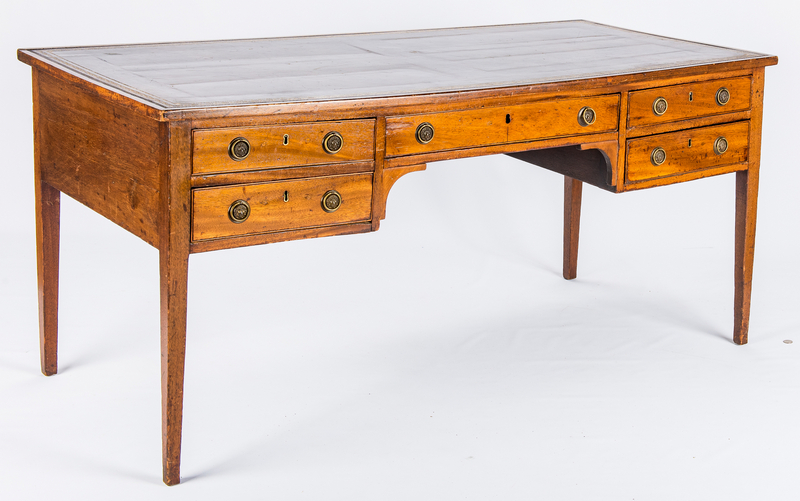 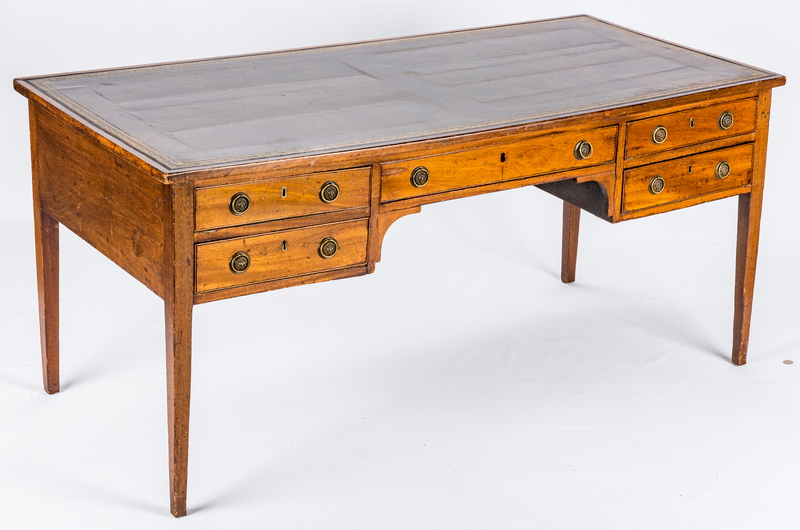 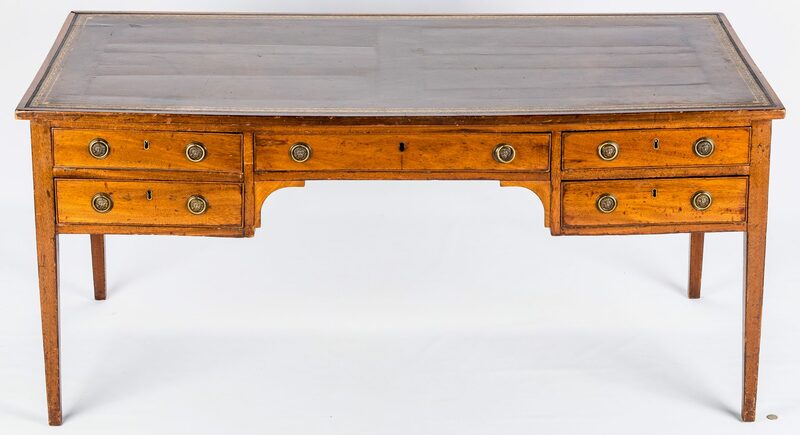 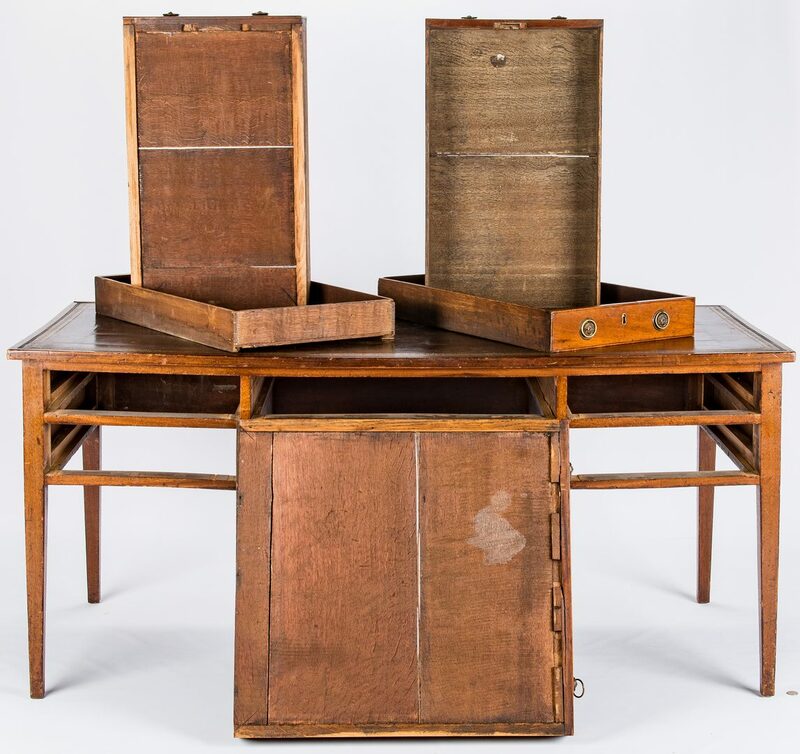 Early Regency mahogany writing table or desk, deal secondary wood. 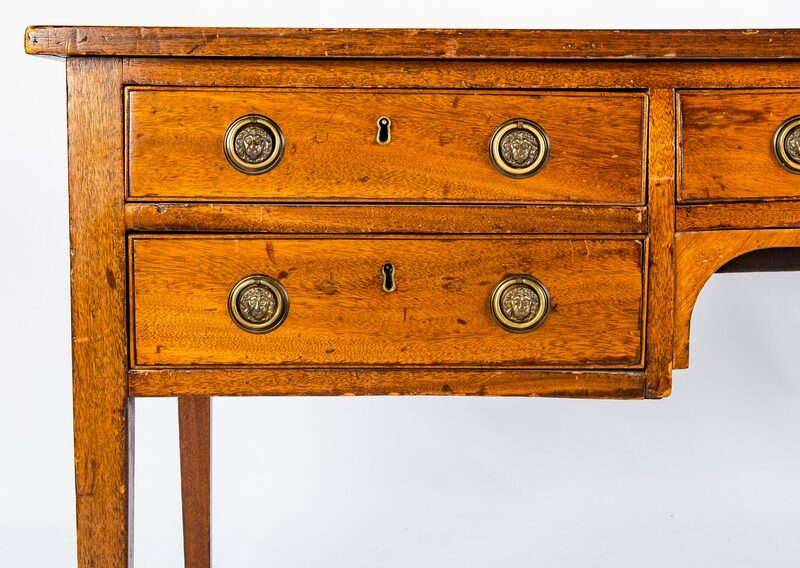 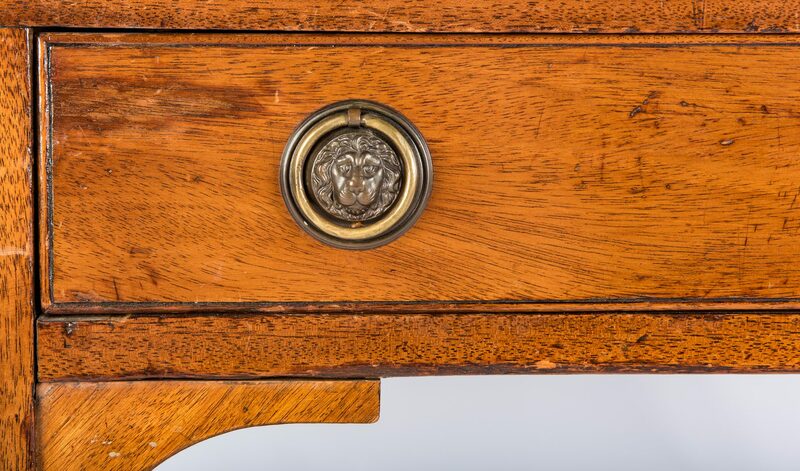 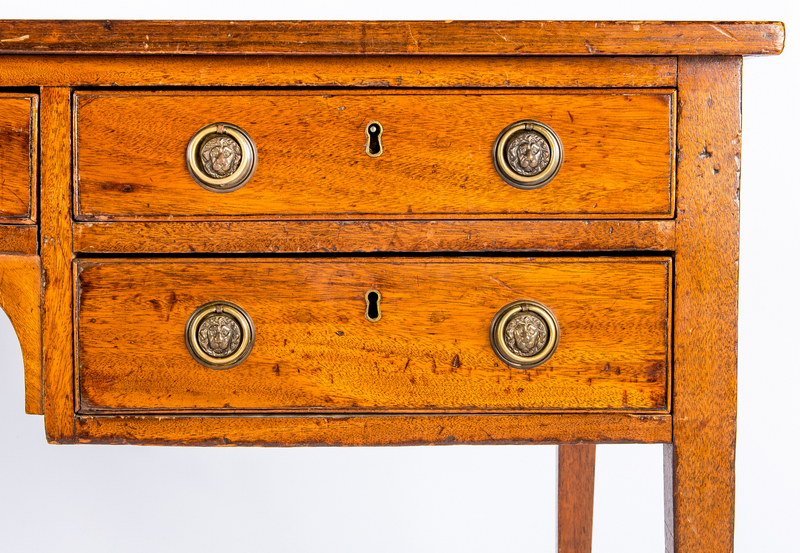 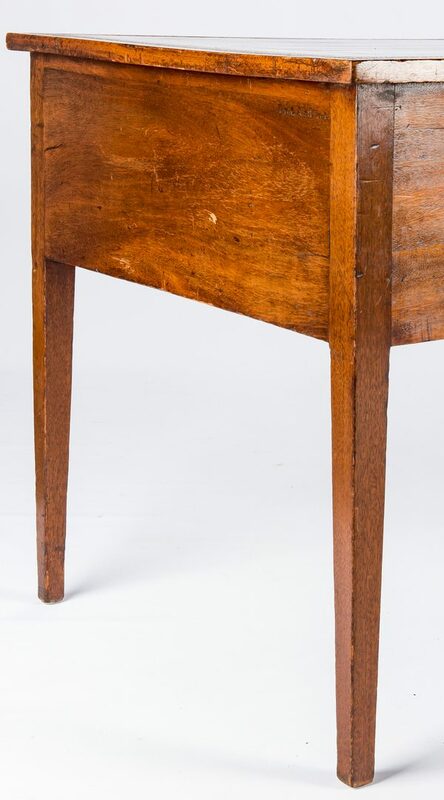 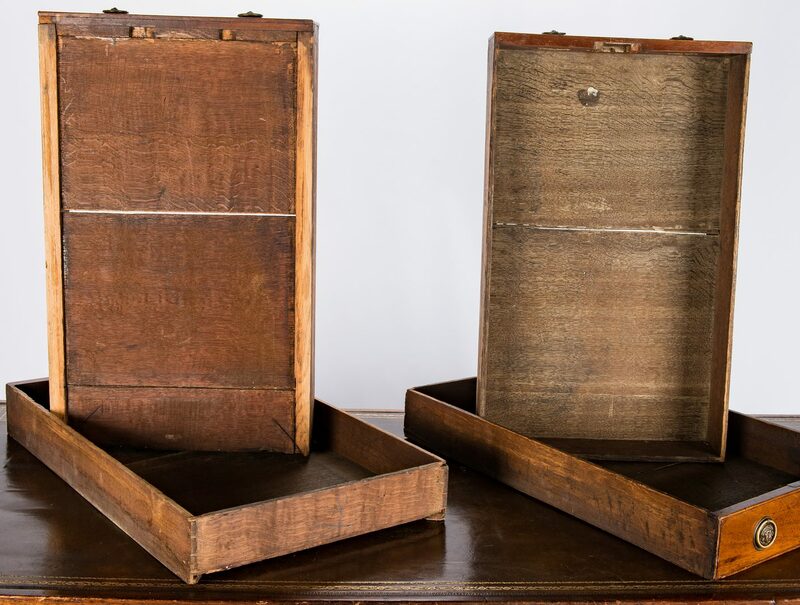 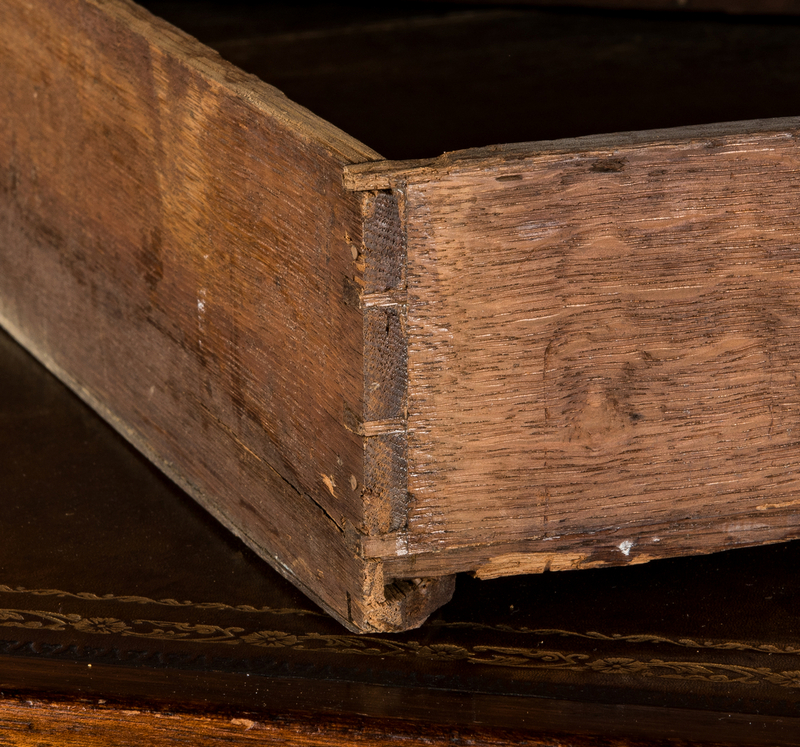 Rectangular top with leather inset above a frieze containing five dovetailed thumb-molded drawers surrounding a bracket kneehole, on square tapering legs. 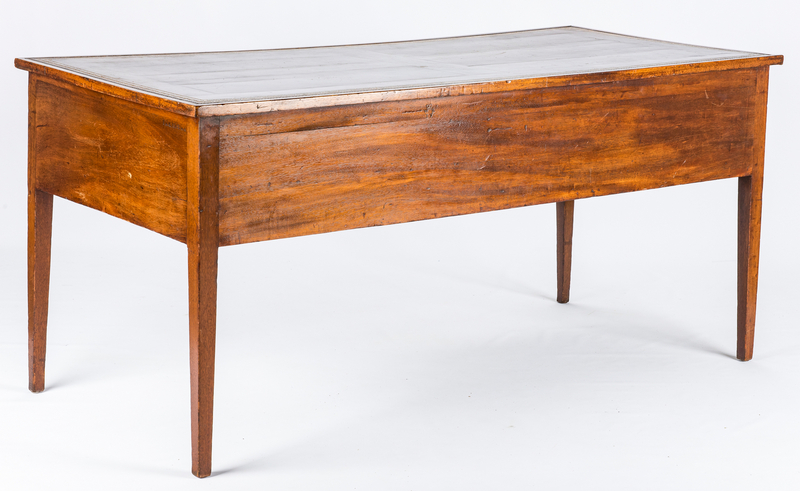 30" H x 64-1/2" W x 30-3/4" D. English, early 19th century. 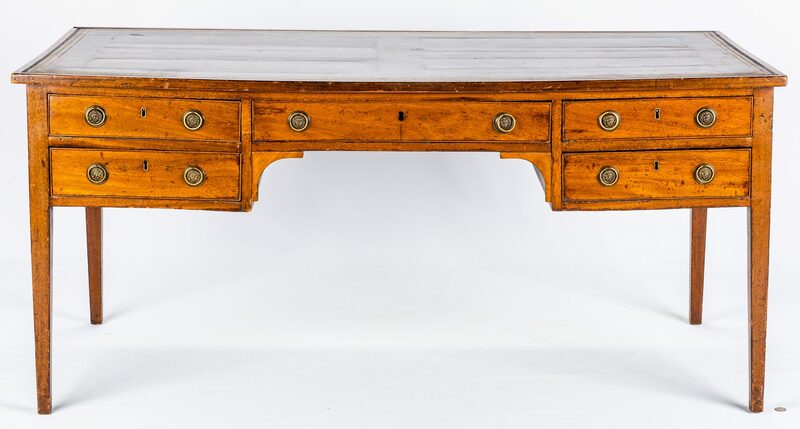 Provenance: Formerly of Maple Grove Estate, Knoxville, TN when a private residence, and published in Southern Accents magazine, May-June 1985. 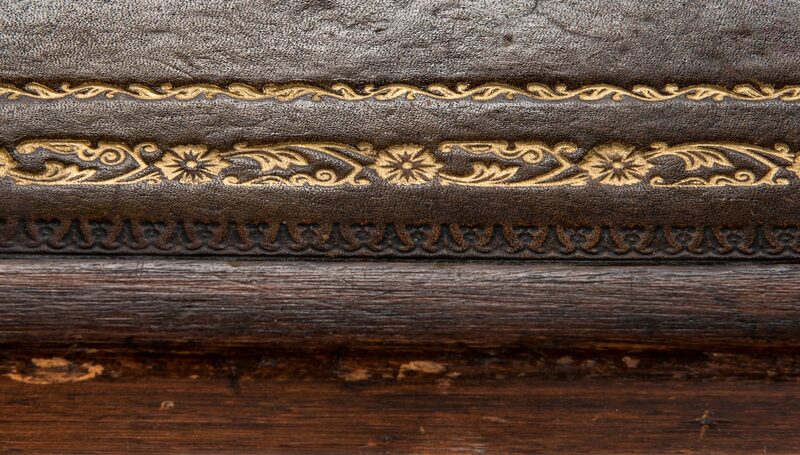 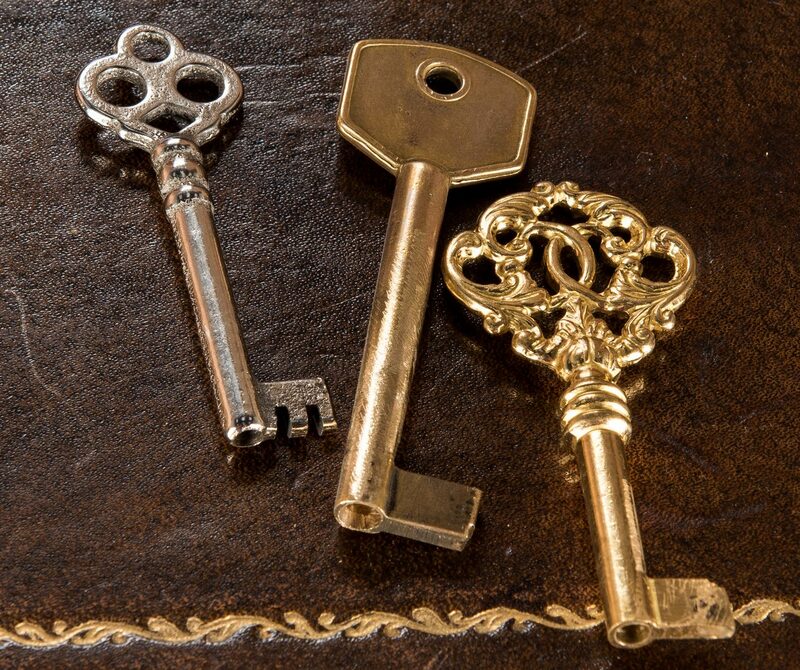 CONDITION: Brasses older but not original. 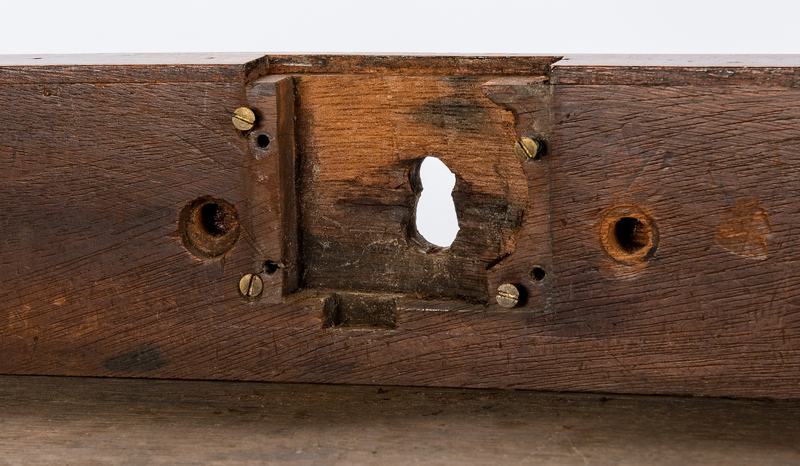 Three locks missing. 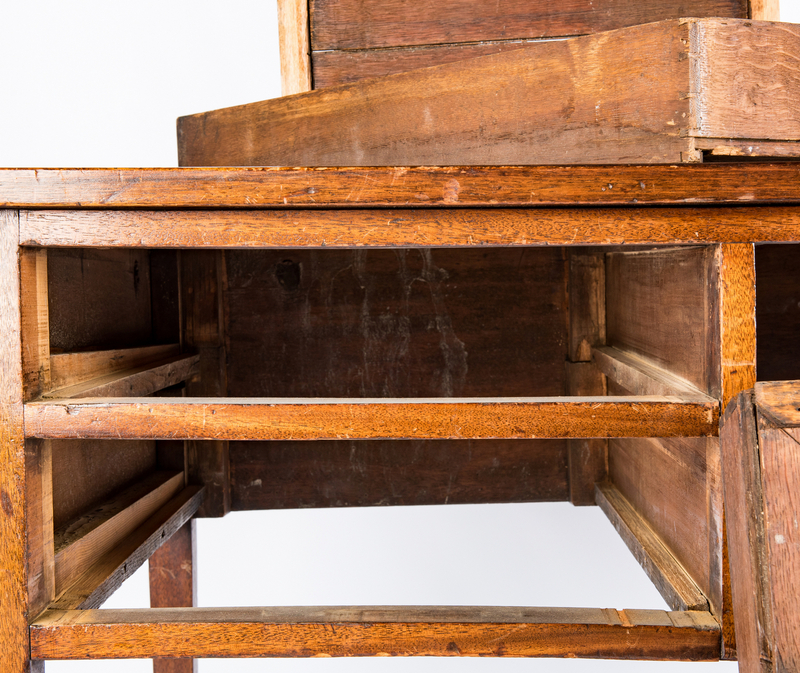 Center drawer locked. 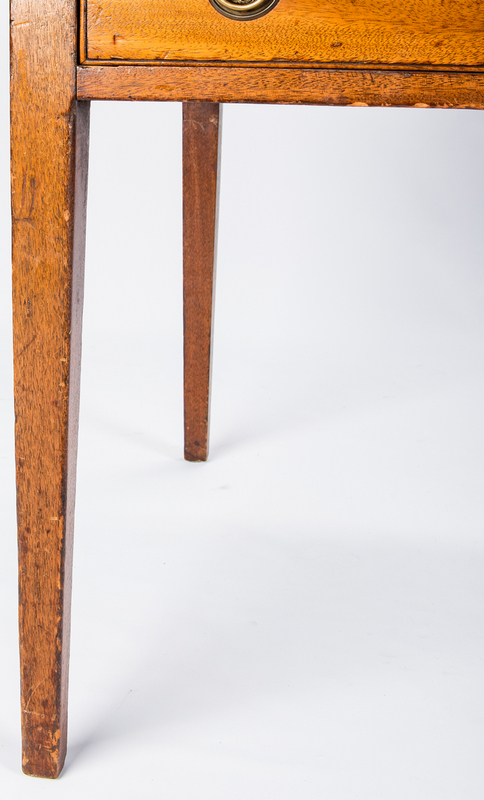 Scuffing to top edges and legs.